Hello listeners! 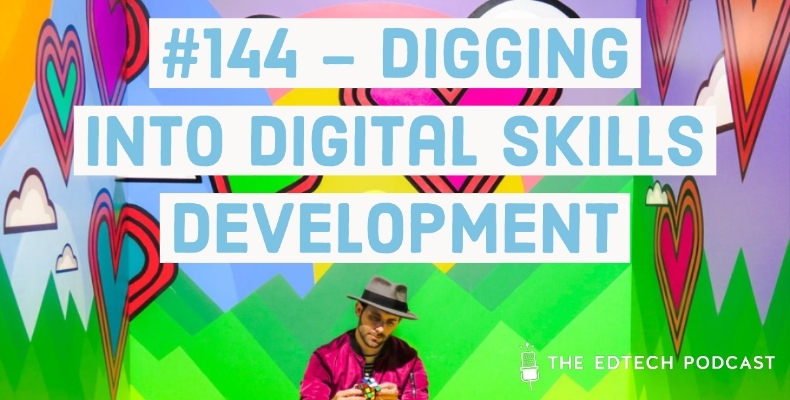 This week’s episode is a treasure trove digging into digital skills development. You’ll hear from Kerensa Jennings of iDEA on the art of audio production and digital skill access for all, Iris Lapinski on new learning tools for early adopter teachers who want to pick up new skills in machine learning and AI, and Patrick Cutliffe who is working with Facebook to upskill a huge cohort of 18–30-year-old learners to earners. Enjoy, and send us your feedback and comments! Plus, Matt Beer on what students really think. #130 – how can tech help to save teachers crucial time?